We are a family owned and service oriented, plumbing company with a distinct focus on customer satisfaction. 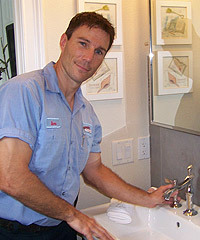 When you are in need of a plumbing job done right, you need to call the plumbing professionals you can always count on. We have fully trained technicians available for you to speak with at all times that are ready and willing to help. Our job is to make sure every plumbing project meets and exceeds our customer’s greatest expectations. 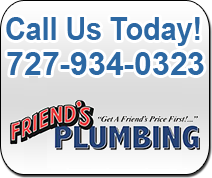 Since 1979, we have been serving Florida residential and commercial plumbing customers. We carry and install top brand water heaters, filtration systems, water softeners, garbage disposals, and other plumbing supplies and materials. We offer a very wide range of plumbing services from basic repairs to more elaborate replacements and new installations. Drain cleaning, water leak repairs, sewer repairs and replacements, inspections, disposal services, water heater repairs and much more. We offer a 24 hour 7 days a week emergency service at an affordable rate, this helps set us apart from other plumbing companies. We also offer service agreements for annual plumbing inspections to help prevent plumbing disasters. Rely on the areas most experienced and established plumbing company where we look forward to working with you.